Heroism and tragedy in the East, in the face of the Red Army's onslaught . . . In 1945, in the face of the advancing Red Army, two and a half million people were forced out of Germany's most easterly province, East Prussia, and in particular its capital, Königsberg. Their flight was a direct result of Hitler's ill-fated decision to invade the Soviet Union in 1941. Now that the Germans were in retreat, the horrors of Leningrad and Stalingrad were to be avenged by an army determined not only to invade Germany but to take over its eastern territories. The Russians launched Operation Bagration in June 1944, to coincide with the D-Day landings. As US and British forces pushed west the Russians liberated Eastern Europe and made their first attacks on German soil in the autumn of 1944. Königsberg itself was badly damaged by two British air raids at the end of August 1944, and the main offensive against the city by the Red Army began in January 1945. The depleted and poorly armed German Army could do little to hold it back, and by the end of January East Prussia was cut off. The Russians exacted a terrible revenge on the civilian population, who were forced to flee across the freezing Baltic coast in an attempt to escape. On 9 April, the city surrendered to the Russians after a four-day onslaught. Through firsthand accounts as well as archival material, The Fall of Hitler's Fortress City tells the dramatic story of a place and its people that bore the brunt of Russia's vengeance against the Nazi regime. Isabel Denny has contributed to Fall of Hitler's Fortress City: The Battle for Konigsberg 1945 as an author. Isabel Denny studied history at the University of Bristol and has spent most of her career in teaching. 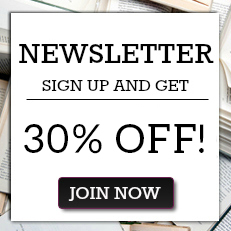 She is also a freelance journalist, writing mainly for educational publications. 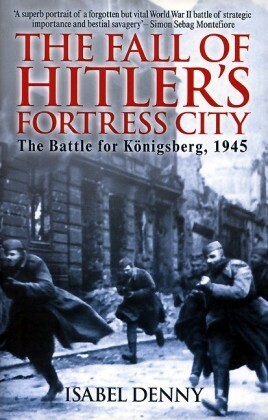 "The best book on the battle of Konigsberg is Isabel Denny's THE FALL OF HITLER'S FORTRESS CITY." "Those looking for a better understanding of the fate of the population of East Prussia at the end of WWII will find this book useful, particularly with respect to the plight of so many refugees."